Memorial Day is designated for remembering the military men and women who died while serving in the country’s Armed Forces (Army, Navy, Air Force, Marine Corps and Coast Guard). Blackburn-Aurora VFW Post 3348 of Shoreline will be accepting donations for Buddy Poppies in the greater Shoreline area on Fri-Sat, May 25-26; the “Buddy” Poppy has become the true symbol honoring all those veterans who have given their lives in our nation’s wars. 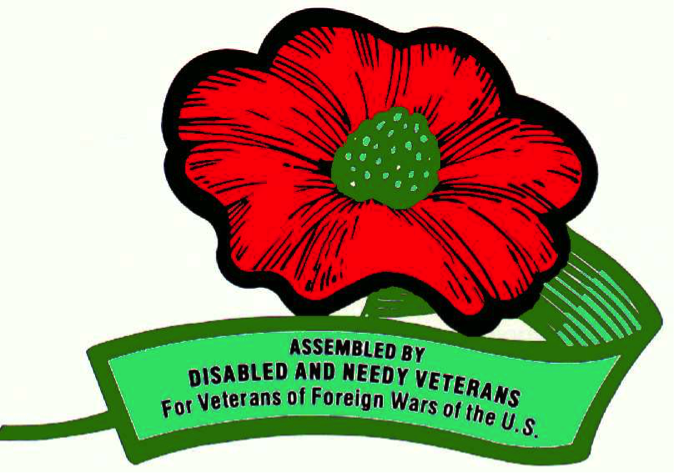 All the donations collected by VFW Post 3348 for Buddy Poppies are used to help veterans. One of the places they donate to is the Shoreline Veterans Center, Compass Housing Alliance. The other donations go to local veteran support organizations in the greater Shoreline/Seattle area. All male and female veterans who are VFW eligible are invited to review the Post website to check us out. All VFW eligible veterans who served in combat areas, particularly those veterans who served in Iraq or Afghanistan, are most welcome. Female veterans looking for a place to talk to their fellow veterans and who may be interested in getting more involved with other VFW members, in helping less fortunate veterans, will find it rewarding to join us. Blackburn-Aurora VFW Post 3348 meets monthly in a meeting room at Acacia Memorial Park, located in Lake Forest Park. We welcome all eligible veterans, be they male or female, all sizes, all races, abled or disabled. If you see a VFW Post 3348 member on May 25th or 26th at the Fred Meyer store in Shoreline, Lake City, or Thrasher’s Corner, stop by to say hello and pick up your Buddy Poppy along with an American Flag.